Today we welcome Chip and Pauli Wade! You probably know Chip from the hundreds of episodes from the 14 shows he has been on during his impressive 12 year (and climbing) TV career so far. At just over 1,500 renovations in the past 12 years, he is always learning and pushing the envelope and loves seeing projects go from start to finish. We talk about Chip and Pauli’s partnership in all things work and personal life, how to discern between entertainment and real life renovation, how to plan and ... See More invest in design and decor correctly, and when we should embark on a DIY project vs. outsource to a professional, and how he is changing the dynamic of how the digital purchasing experience for both individuals and brands. What You'll Hear on This Episode: The way Chip fell into TV, starting out previously as a structural engineer. Real life in the fast paced crazy environment twist of Chip’s shows, including over 1,500 renovations in the past 12 years. How Chip and Pauli met, fell in love and became partners and cheerleaders for each other both in romantic and business life. 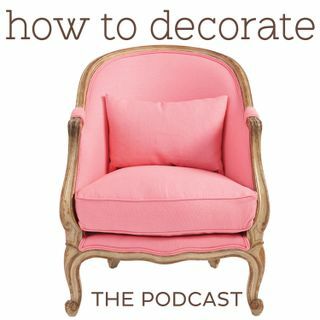 What Chip feels is the most challenging in decorating and design, and despite what you think, it's not making things look good! Who makes up all of Chip and Pauli's team, and why each and every role is pivotal to help homeowners make all the right choices along the way. The biggest problems of e-commerce and online retail when it comes to curated confidence. Why something functioning correctly in a room or house is more important than having it just because it was featured on TV or the front page of an editorial spread. >The type of approach Chip uses when working with first time and potential clients to craft a concept of what is most suitable for their needs. Why most of us are doing master bedroom design completely wrong, and how we can remedy it. Little tweaks in our storage, layout, and function that can save us thousands of dollars and square footage of space. Chips love of multipurpose function. Some DIY projects that have spiraled out of control, both from us and Chip and Pauli. As much as he (and we) love DIY, we hear Chip’s top recommendations on when to outsource to a professional. Chip's new multipurpose and multifunctional furniture line, Xtraroom.